A collaboration between Aliana Grace Bailey, Franny Wertimer, and Laura Sligh. 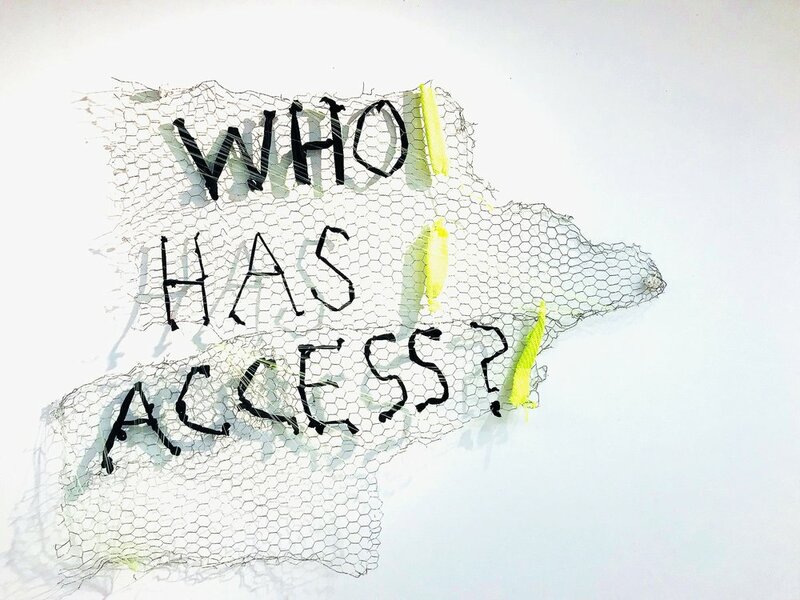 “Who has access?” is a collaboration creating dialogue around accessibility and privilege in spaces. Who has access to a city, a gallery space, a park? Who does this space belong to? Where do we feel welcomed? What spaces are not for us and how can we tell? What invisible barriers deny us access to spaces, opportunities, and experiences? This work specifically speaks to access or lack thereof on the campus of Maryland Institute College of Art and surrounding spaces. As students at a renowned art school, what privileges do we hold? In what ways do we still not have equal access to them? How does MICA fit into the wider community? 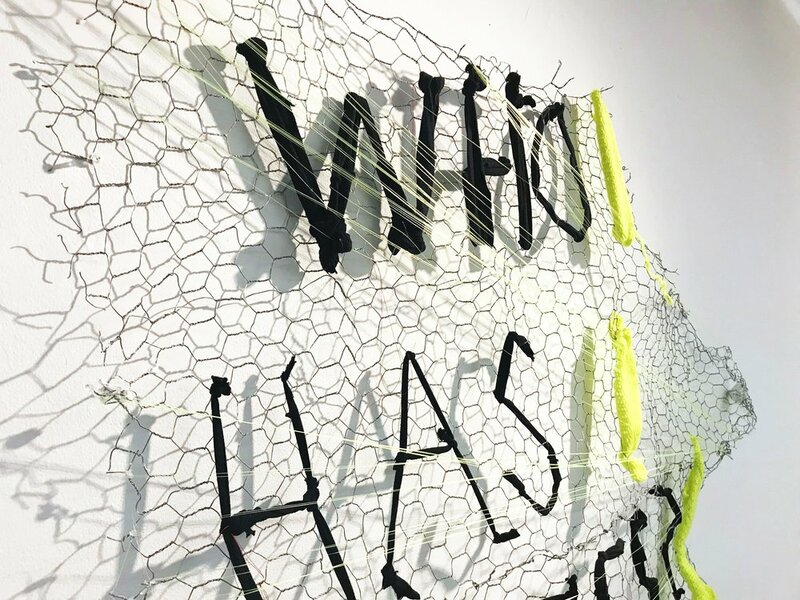 As socially engaged artists, we have a responsibility to be aware, acknowledge, and address the role such systems we benefit from impact the city of Baltimore.